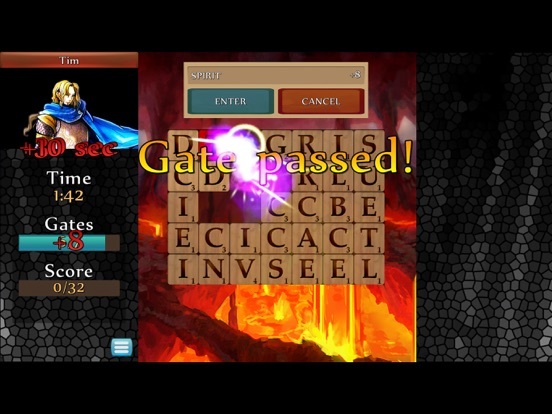 Discussion in 'iPhone and iPad Games' started by Gwarmaxx, Mar 26, 2019. 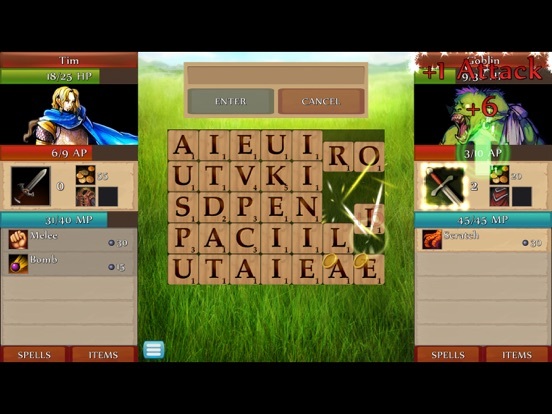 Battle against an evil force in this unique word/RPG hybrid game! 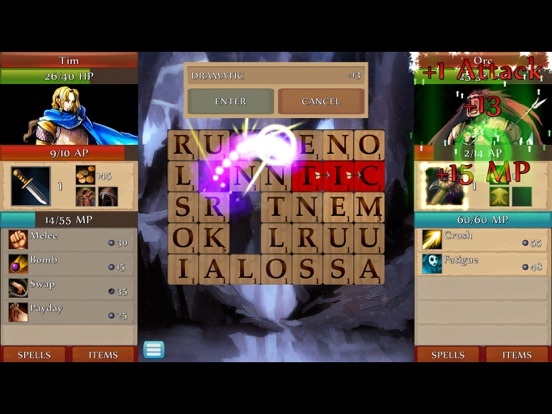 Face off against countless enemies in turn-based combat by mastering words, spells, weapons, and items. 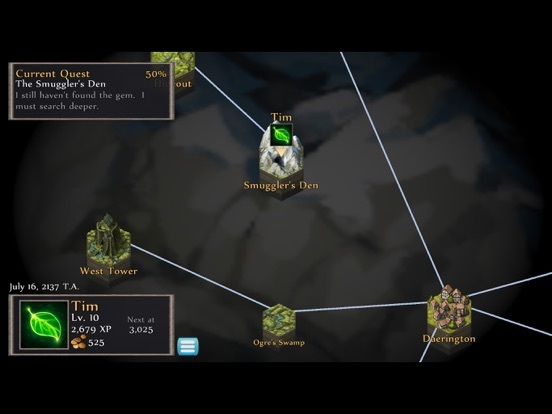 Explore an ever-unfolding map with characters to meet, stories to tell, and quests to embark upon. 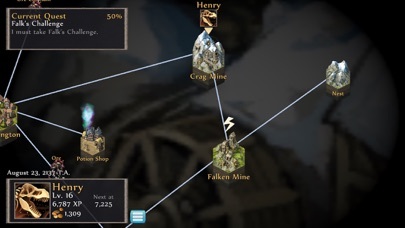 Earn gold and visit shops to upgrade your equipment and buy items. 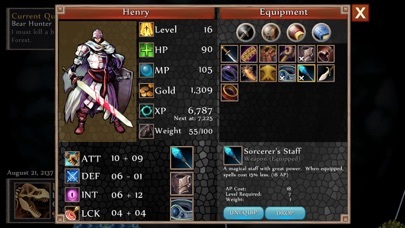 Earn experience to level up and improve your character's fighting stats in combat. 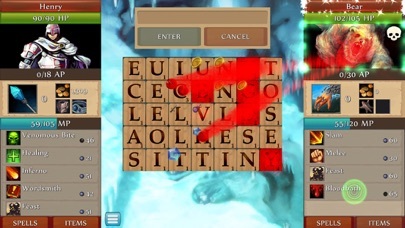 In Shadow Codex, turn-based combat is accomplished by spelling words on a shared game board of letters. 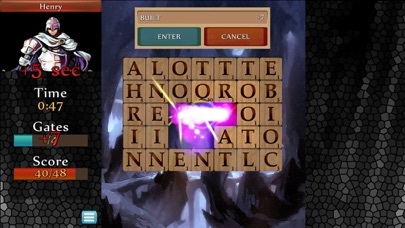 Pick letters and chain them to an adjacent letter to form a valid word. 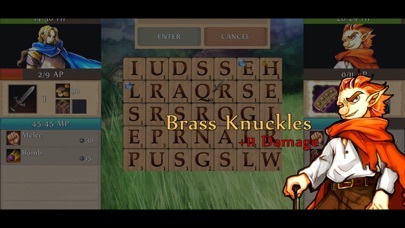 Each word you spell will earn a certain score. This score is added to your "action points." If you reach a certain amount as defined by your equipped weapon, you will gain a weapon attack to use in a future turn. 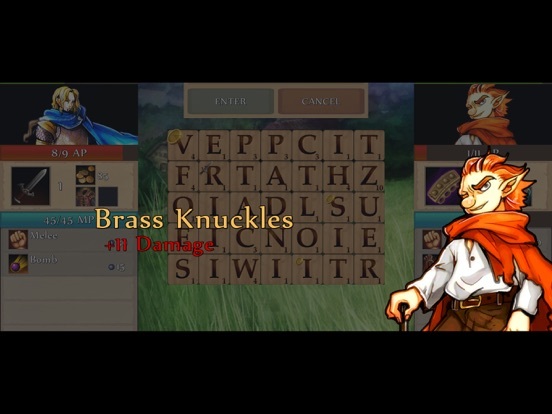 Rarer letters and longer words give big scores where you can potentially gain extra turns or numerous attacks! Gems on letters will double the score! 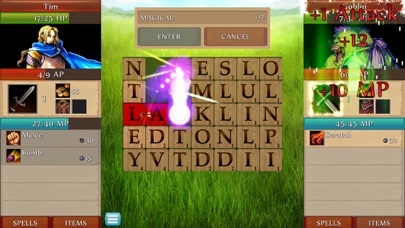 In addition to word-spelling, you can also cast powerful spells. 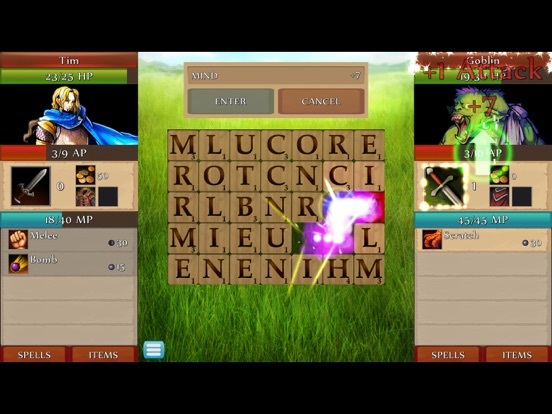 These spells can change letters on the game board, heal you, damage your enemy, and can be learned by defeating foes and completing quests. 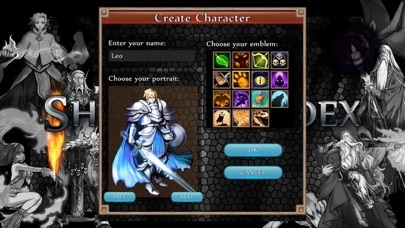 EXPERIENCE COMBAT • Face off against over 45 characters and monsters w/ unique abilities! • Earn gold to purchase new weapons with unique stats and abilities. 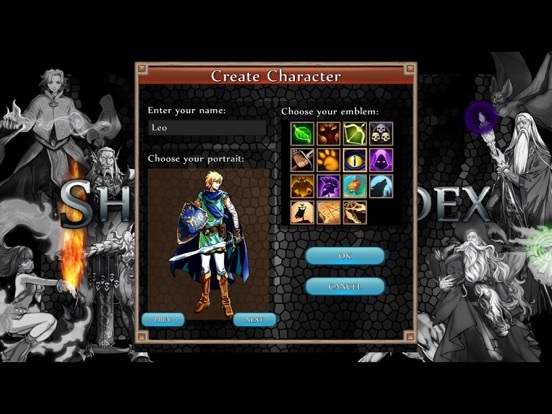 • Earn XP to level-up and improve your stats and magic power. • Cast spells to gain an advantage or aid your word-spelling ability. • Use items to heal yourself and win the battle! PLAY THE MINI-GAMES • 3 extra mini-games help you earn gold and experience! • Test your spelling speed in the Endurance Trial game. 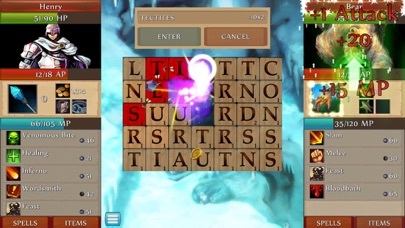 • Unlock chests by playing a word search-type game. You never know what you'll find! •Collect or harvest items quickly to aid your fellow citizens and earn rewards! Anyone play this? Does it have iPhone X support? Would love to hear some impressions. i've been playing it for a couple of hours and i love it! 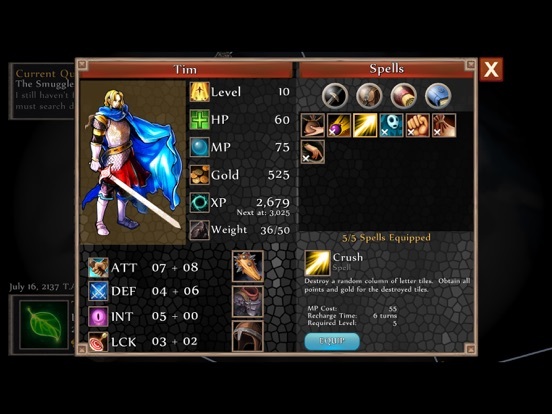 presentation is fine, exhaustive options, really good grafx and music... for us recently used to play card battlers, srpg, etc, this one is like fresh air, because although it has some rpg features, fighting by forming words makes it completely different from all the stuff we're playing this days. fortunately it has an immediately understandable gameplay, so you enter the spirit of the game just from the beginning. 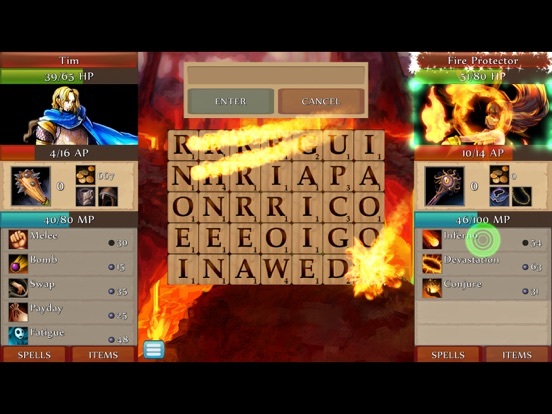 i like to search more difficult words and store enough energy to beat the opponent easier, although initial weapons are a bit weak. anyway, it's a really good game imho. Are you on an iPhone X by chance? I just had noticed the UI was pretty big so figured the more real estate it had the better if it has full screen support. not an X, i'm on an old 6S. This looks great. Thanks for your "pre review" Gwar, heading to the App store. 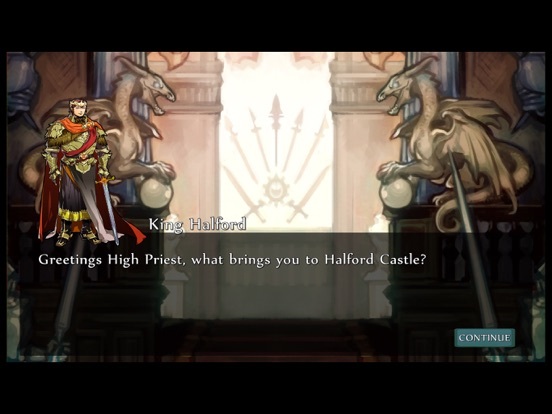 Full screen on iPhone X? Unfortunately no, but I can see how it would be a problem with the current UI. The entire thing would need modifications. Does it affect gameplay? 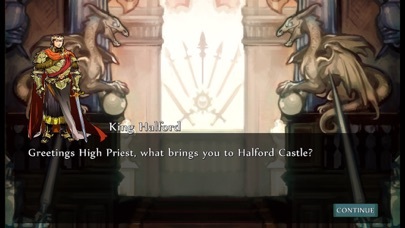 Absolutely not (since all you do is tap stuff throughout the entire game). Is it annoying that it’s not optimized? Yarp! Metal, you have never lead me astray & give sound advice. If you’re playing this game that’s all I need to take my interest to the next step and purchase. It’s certainly compelling, and like Gwarmaxx said, a breath of fresh air. If you’re into word games I don’t think you’ll be disappointed. I will say though, messing around with the UI to turn it into a portrait game on iPhone would probably take this thing from “pretty excellent” to “absolutely essential”. Hope the dev comes across this message and takes it into consideration. This is a well made game. I agree with Metal, portrait would be spectacular. Just me who can’t stop seeing obscenity in that first screenshot then? Unfortunately sold my weapon to get enough gold to buy a better one and now the game won’t let me buy, even though I have more than enough gold. Looks interesting! I usually like things that Anthony78 and metalcasket discuss. Although I’m not a scrabble or word expert I like the different style idea meshed into different genres as it makes games feel different. Debating between this and the pirate game people have been talking about on TA. Seems like the sale price and being premium may make this the one to get!